The Smarter Eggs are back at The White Horse, helping you close the gap between your performance and your potential. We are joined by four inspiring people who are working at the top of their professions to enable others to get the most from what they do. Joining us in our Red Chair is broadcaster and founder of Pure Results Bootcamp, Kathryn Thomas. 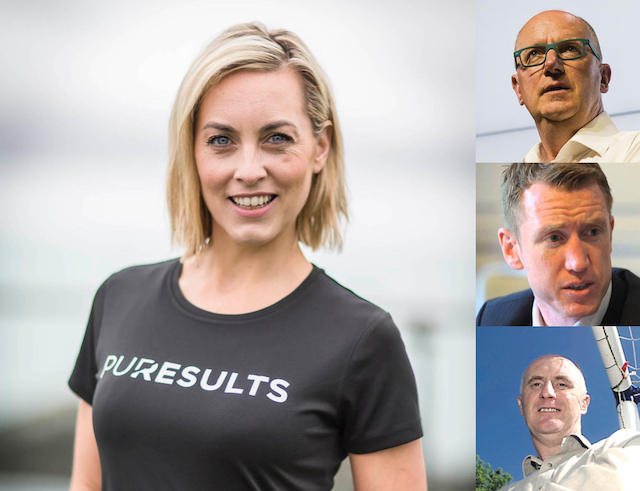 Known to many as the presenter of RTE’s The Voice and Operation Transformation, Kathryn brought her passion for wellbeing and improvement into a new venture last year, Pure Results, which provides top-class health and fitness retreats. Neil O’Brien is an author, speaker and coach, working with some of the largest organisations in Ireland, as well as elite sportspeople, through his company Time To Fly. Conor McCarthy is Irish Partner for Gazing Performance Systems, and through his company Kaizen Performance, delivers bespoke performance improvement programmes to the corporate sector. Canice Kennedy has been a pioneer in sports psychology for many years, working with athletes at all levels of performance, including Olympians. As always at our White Horse events, guests enjoy delicious food and this time a BBQ will be served in the beer garden. The event kicks off at 6pm, and ends by 9pm. Smarter Eggs at The White Horse is a different kind of business event. In an intimate music venue, you connect with inspirational people and get to hear their stories up close and personal. Add in some delicious food, and sparkling conversation, and you have an evening that will inspire and delight. To ensure you don’t miss out on future events, you can sign up to our special White Horse events list here. This entry was posted in White Horse on May 26, 2016 by Aodan Enright.